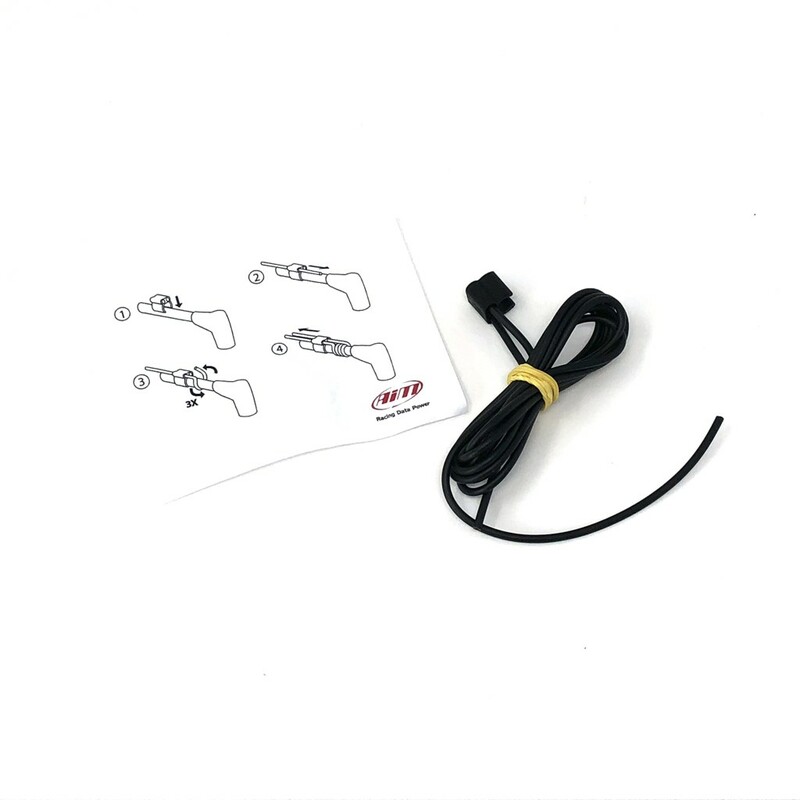 AiM RPM sensor wire and clip to be used with the MyChron4 / MyChron5 kart data systems to pick up RPM. Compatable with 2 stoke and 4 stoke engines. Also known as a tach wire or tach lead.